Pollination is nowadays one of the most important processes in agriculture. It covers many industries such as botany, horticulture, entomology, and ecology. Pollination is the process by which pollen is transferred from the male part of a flower to the female part of the flower, which leads to fertilization and reproduction. Therefore, the insects are among the most important pollinators. The best known and best pollinators are bees. They can in a one-day pollinate lot of flowers. When bees are going out to pasture, they visit only one type of flower, and, therefore, they the best pollinator, because they transfer 100% pollen. Pollination is becoming more widespread in agriculture. The reason is that more and more people grow monoculture. Therefore, they need more pollinators. However, for bees, such fields are extremely dangerous because often these large farms use pesticides that kill bees at the same time. Therefore, some fewer beekeepers keep their bees near monoculture. The problem of lack pollinators lies in the trend of spraying mosquitoes. Many states spray mosquito and thereby kill other insects that are good pollinators. Bees are one of them; mosquito spray is extremely dangerous to them. The problem of lack pollinators in the USA is solved by associating beekeepers and farmers, so beekeepers bring their bees to pollinate farms. Transporting bees to farms for pollination, of course, is not good for bees, traveling for days in containers from south to north is torture to bees. So many bees die on the road. This is not a solution to the problem of pollination, because, in the long term, there will be fewer bees. All that is needed to do is to change the way of planting and use of pesticides. If we run out of pollinators, this will be a significant impact on the economy. Particularly on food prices. The price of food will rise. There are many reasons why there are less and fewer pollinators. Some of them are climate change, use of soil totally missed agriculture in the seeding of large monoculture plantations, excessive use of pesticides, a variety of different diseases affecting bees. 1. Self Pollination – when flower pollinates itself. Flower have the male and female gametes. The most remarkable self-pollination plants: some types of apples, figs, some types of peach and others. 2. 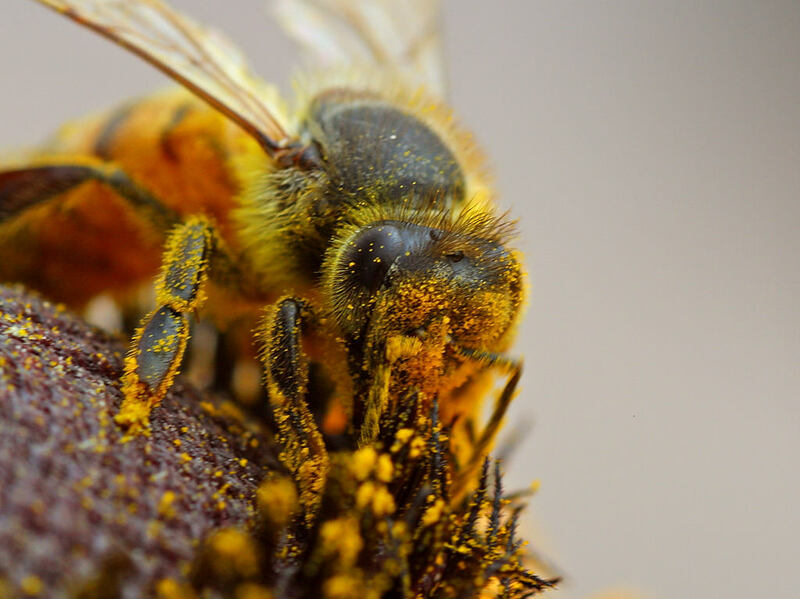 Cross Pollination – when pollen is transferred from one flower to another. In this process is involved the wind, water, insects, birds, bats, snails and or other animals. Insect pollination is one of the most important pollination processes on planet earth. It is also called entomophily. It is a process in which an insect carries pollen from one flower to another. Scientists predict when the bees disappear; people will die too. The reason is that more than 80% of plants depending on insects. When insects disappear, plants will disappear too. When plants disappear, food will disappear too. Moreover, man can not live without food. Many bumblebees are already at the door of extinction. Many species of bees are on the red list of endangered insects. Something needs to be done. Stop using pesticides on fields. Stop big monoculture plants. Support beekeepers and give them incentives and donations. Because they are the ones, who keep bees alive.